For those who expect to attend this year's reunion, please indicate with the Register button. This year no credit card option is available. All dinner reservation, tour or membership fees need to be paid by check and accompanied by registration form that can be copied or printed from links provided on this page. If you believe you will be attending, please Register -- there is NO Cost, but it helps us in our planning. All reservations for Banquet, Tours, 50/50, will conducted by snail mail, this year. This year's Reunion is being held at MCM Elegante' Hotel, 2020 Menaul Blvd NE, Albuquerque, NM 87107 beginning Tuesday, September 11, 2018 and will conclude with the Banquet Saturday evening, September 15, 2018. Hotel reservations should made directly with the hotel by phone at 505-884-2511 (be sure to mention you are with the Galveston Group to get our discounted rate). Dinner Buffet - $43.00 per person. Includes: motor coach, tour guide, admission to Loretto Chapel & tax. Does not include cost of lunch. We’ll ride the New Mexico Railrunner along the countryside and through Indian Pueblos on our way to the Santa Fe Depot this morning. A visit to New Mexico is not complete without experiencing the capital city of Santa Fe, with its unusual charm and historical significance. This unique community offers wonderful eclectic shops and history is everywhere. The fully narrated tour includes information on shopping and dining as well as a glimpse into the history and culture that truly make Santa Fe “The City Different”. Upon arrival at the Santa Fe depot, we’ll board the coach again for a visit to the state capitol building (and the restrooms) followed by an orientation of the Plaza area with approx. 3 hours of free time to have lunch and explore the shops and museums before we load the coach at 3:45 to siesta during the one-hour ride down the Interstate returning to the MCM Elegante by 5PM. Includes Loretto Chapel Museum with its “miraculous staircase”. Includes: motor coach, tour guide, admission to the Indian Pueblo Cultural Center & tax. Does not include cost of lunch. 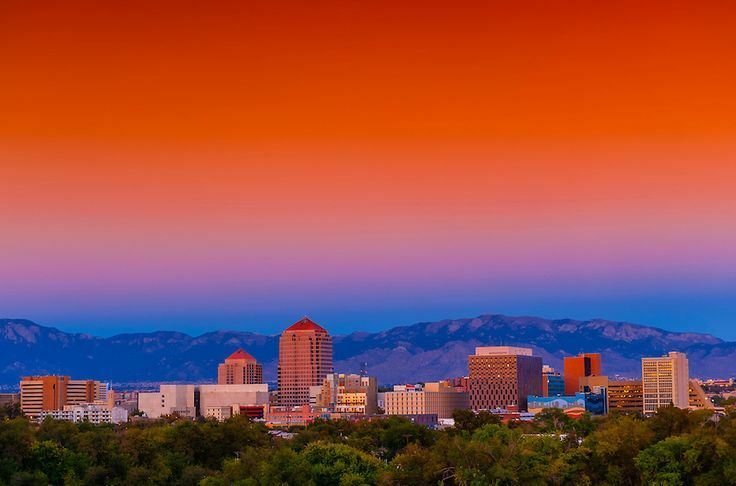 This fully narrated Albuquerque City tour includes highlights and stories of history and growth. Our first stop is at the Sandia Peak Tramway and those that want to can ride the Tram to 10,278’ for a glorious view of almost 10% of our state. Due to the elevation, 10,378’, individuals with heart conditions or respiratory problems should consult their doctor before riding the Tram. Bring a sweater or jacket on this tour, the temperature at the top of the mountain is cool. We’ll continue to the 66 Diner for an on-your-own lunch of old-time comfort foods before continuing the driving tour to the Indian Pueblo Cultural Center for a docent guided tour. The IPCC is owned and operated by the 19 Pueblos of NM. It showcases the common cliff-dwelling ancestry of the Pueblos along with their ability to combine ancient traditions with a modern lifestyle. Friday -- Shipmates and Gals Business Meeting, starting at 0900. Gals auction to follow. Feeling Lucky? Afternoon/Evening shuttle bus to Sandia Casino. Payment - A form for reservation and payment of Banquet Dinners, Tours, 50/50 tickets, memorial donations, and membership, is available for printing from the website, and will also be snail mailed with Our June Newsletter and 50/50 tickets. We will not have the online payment option for dinners this year, however PLEASE register if you are expecting/hoping to attend, just so we can get idea of attendance and your friends can see who they might see. Use Register button, there's no financial commitment to register.